It's probably been a long time since someone thanked these vets for serving their country. You can make sure your senior loved one knows you appreciate his or her hard work and time by saying a simple, "Thank you." Consider making a card the person can keep and treasure forever, or even cook him or her a meal to show your gratitude. Many American Legions and armed forces service units meet on Veterans Day to spend time with their comrades. You can help your loved one find and get to these events if he or she would like to attend. Make sure to arrive early to the assisted living community so you have extra time to transport the senior to the event. 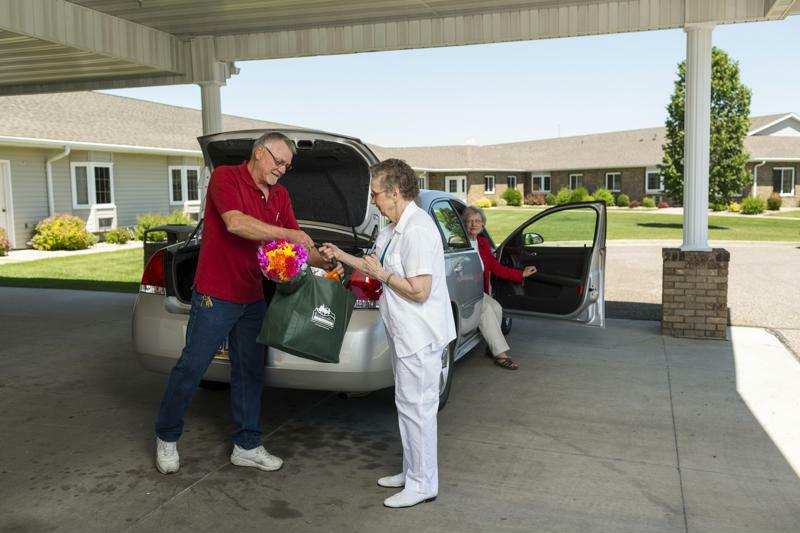 Some of these communities require that residents check out when leaving, especially if they live in the Alzheimer's or memory care units, so follow the proper protocol as necessary. Also, don't forget to bring along any medications or mobility aids that may be helpful to your loved one while he or she is away from home. Legions and other armed service-related locations may do a program involving awards and visiting time to honor veterans. Enjoy these precious moments with your loved one as you thank him or her for being a vet. "Service members returning to the U.S. may live in transitional housing." As injured armed service members return to the U.S., they may spend time in transitional facilities where they recuperate physically and can mentally assimilate to being out of a war zone. On Veterans Day, you may be able to bring a senior loved one who has served to visit with younger Army, Navy, Marine, Coast Guard or Air Force vets. The younger generation can learn from their more experienced peers, so this is a unique opportunity for the ages to meet and bond. Take your senior loved one shopping and talk about friends and family who have served for their country. If you have a senior loved one who resides in independent living, he or she may benefit from some assistance with errands. While he or she is high functioning and lives in an apartment alone, you may have some skills or physical abilities to offer. Help with getting groceries, reaching holiday decorations off a high shelf (Christmas is coming!) or even take the senior shopping for some new clothes. As you spend time together, talk about friends and relatives who have been in the armed forces. This mini-history chat will be enlightening for all involved. Some veterans have many stories to share about their time overseas and in training. Spend some time listening to your loved ones tell tales about their time in the service. You may be surprised about their adventures across the world and what they remember most about their duties. The senior may even have photographs to share of the younger version of him or herself in uniform posing around heavy artillery or other artifacts of war. Remember to be very respectful as you listen to these stories – you may be the first to hear them in a long time! Not all vets want to share their experiences. For some, taking part in war was a painful part of their lives that they would rather soon forget. Make sure your loved one wants to partake in a Veterans Day event or be honored on this day before you do something special.